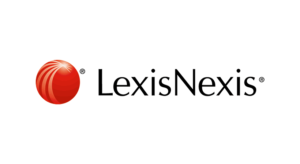 LexisNexis is a leading global supplier of information and technology solutions to legal, risk management, corporate, government, law enforcement, tax, accounting and academic professionals. In Australia, LexisNexis has just launched a new Regulatory Compliance product that draws on its significant expertise, to provide practical , actionable legal obligations registers aimed squarely at Compliance Managers and In-house legal counsels. The product cover a range of industries including Aged Care and Financial Services and is vetted Australia’s leading legal and industry experts. Folio is proud to be one of the first solutions that LexisNexis has partnered with for this innovative offering. LexisNexis content with its ‘plain english – no legalese’ approach fits very well with Folio’s intuitive, easy to use and quick to implement software. To know more about Folio and Kwela Solutions, contact us on (02) 8283 2190. Click here to know more about LexisNexis Compliance products.